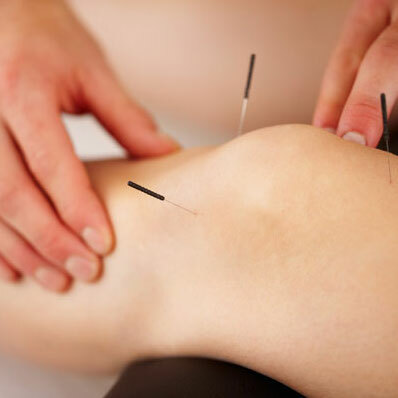 Dry needling/IMS is a general term for a therapeutic treatment procedure that involves inserting thin needles (akin to acupuncture needles) into an identified muscle in the body. A therapist will needle a dysfunctional or painful muscle to elicit a muscle twitch response which de-activates a muscle trigger point, and effectively reduces a client’s pain and dysfunction. Clients will typically see improvements in range of motion, decreased pain, and increased function in as little as 2-4 sessions. IMS/Dry needling is an effective treatment for muscle strains, overuse injuries, nerve irritation, tension headaches, arthritis, low back pain, myofascial pain and many other conditions.